We design, project manage and build. From Concept to Hand Over. New Homes, Extensions and Renovations. Graff is a design, renovation and construction firm built on the dream of improving lives through creating perfect, harmonious living spaces. At Graff Design we see our role as one to assist our clients through the decision making process. Our goal is to offer uncompromising, customised functionality and visual distinction with attention to a projected budget. We approach every project with passion and enjoy the challenge of working towards individual styles, expectations and constraints. Graff's team philosophy is to LISTEN, ADVISE and DELIVER. What makes the home though, is the people that reside within it. We afford our diverse experience to the opportunity of working with fascinating clients and always look forward to discovering who they will be. It is this fascination and genuine, personal investment, that grows a deep trust with our clients. A bond that is affirmed by taking them on a journey to realising their dreams. Your Place - Your Style - We Get It! BATHROOMS ll KITCHENS ll LAUNDRIES ll FULL HOMES Brilliant SA is Adelaide’s premier home renovations company working to improve the functionality and value of your home, and has been successfully delivering bathroom, laundry and kitchen renovations across Adelaide for over 10 years. Our sole purpose is to apply our design expertise and unsurpassed construction skills to create environments that work perfectly for you and meet your needs today and into the future. At Mosmo Living, we aim to create memorable and functional living and working spaces. With over 10 years of experience servicing South Australia, we have a become experts as interior design specialists. We are a boutique interior design firm with a lot of personality. We provide our clients with one-stop renovation and building services – from planning and design, through the build process, to a finished product, while also making all the critical aesthetic decisions in between. Understanding your wants and needs is essential to offering a personalised approach throughout the build and renovation process. We hold our entire team accountable to high-quality standards to make sure that we successfully integrate the renowned Mosmo Living design aesthetics into every project. Contact us today to arrange a time to discuss how Mosmo Living can help you to redefine your space. Our Philosophy 1. Habitually taking pride in the quality of even the tiniest detail of our work will lead to excellence. 2. Our integrity is everything, and comes from delivering on every promise and doing all we can to help our clients achieve their life goals. 3. Open communication and constructive collaboration are essential ingredients in every one of our client and partner relationships. 4. Innovation is non-negotiable – we must always look to design and build beyond the ordinary, using new products and materials, and drawing architectural inspiration from around the world. Based in Adelaide, South Australia, Bower specialises in Residential (new homes and renovations) and Commercial construction. Based in North Adelaide, we are a family owned building company that has been delivering Adelaide’s finest family homes since 1976. Many of them you might know, some of them you might have seen in magazines, but all of them have been built with care and craftsmanship. South Australia’s best architects trust us with their plans. If you’d like to share yours, we’re ready to listen. 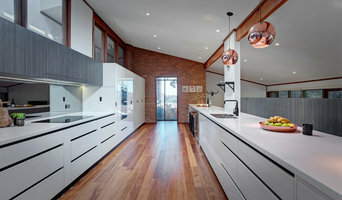 When it comes to contemporary homes and extensions, boutique builder Finesse Built lives up to the ‘finesse’ definition: ‘extreme delicacy or subtlety in action, performance, skill and taste’, building some of Adelaide’s most stylish properties and garnering a reputation for upscale homes at an affordable price. With over 14 years experience, Finesse Built pride themselves on delivering quality craftsmanship, personalised service and employing traditional building methods. Matt Beckwith, director behind the boutique building company, is big on customer service, making sure he builds an exceptional rapport with every client to then build an equally exceptional home. 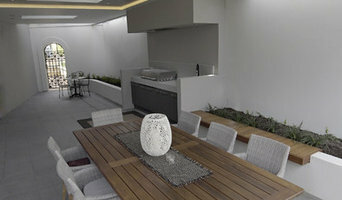 From design conception through to building completion, Finesse Built aims to personally – and aesthetically – please on all facets including architectural designs, plans and costing, tasteful selections and interior trimmings, council approval, site preparation, building supervision and quality construction. As a Project Management and Estimating firm, we have a variety of services to guide you through the process of designing and building your next home or property development. As our client, we will save you thousands of dollars in unnecessary expenses over the duration of your project, by recommending suitable designers and builders, negotiating contracts, actively being involved with the design and approval stages, suggesting alternate materials and methods, and communicating with all parties throughout the process Our experience is with a diverse range of projects - from basic to high-end custom homes, renovations, multi-unit development sites, multi-storey apartment buildings and light commercial projects. Just some of the services we offer; - Preliminary and Detailed Cost Estimates - Project Specification - Quantity Takeoffs - Supervision and Signoff of Owner Builder Projects - Feasibility Studies on Developments - Guidance and Direction / Second Opinion - Variation Assessment - Contract Review and Advice - Cost Value Engineering - Potential Cost Savings - Technical Site Inspections - Independent Arbitration + Many more services. Please ask! When you decide to undertake a home extension, it makes sense to use a reputable firm with 34 years experience in the Adelaide home extension market such as Homeplus Improvements. Homeplus Improvements is a family-run business – we understand your needs as your family gets bigger. We also appreciate that extending and renovating your home can be an exciting time but also daunting if you have never built before, that is why we spend as much time as is needed to get the design and cost right before construction starts – we simplify the experience. Homeplus Improvements manage the entire construction process for you, including preparation of working drawings and dealing with council and legislative requirements. The various licensed trades engaged by Homeplus during construction have a long association with the business, some over 20 years. Homeplus can confidently say that the finished product will meet with the expectations of the most fastidious client. Industry awards are a wonderful thing, but knowing that our client loves what we have built and their life in their home has been changed for ever is the ultimate award for us. 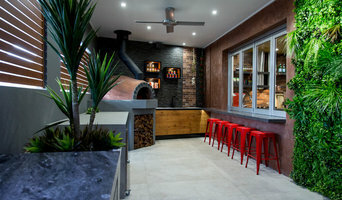 Outset Design is a client focused design and construction company based in Adelaide, South Australia, specialising in distinctive high quality builds. We provide a completely custom design and construction experience to suit your specific needs. Our projects are original, engaging, functional and enjoyable. Urban Habitats is driven by one simple philosophy: to create living spaces that capture the "joys of life". The joys of life take many forms - that's what excites us! Each new client, each new project is a blank canvas. It has to be, because each client is individual. Urban Habitats builds homes and extensions which work for that client, for their lifestyle, for their personality and for their future. Urban Habitats been awarded by the Housing Industry Association and The Master Builders Association of South Australia for building excellence since 1997. For an insight into our award winning designs, exceptional standards of finish and outstanding levels of client satisfaction, please indulge yourself into our project section. At SA Designer Homes we provide our customers every option to keep their minds at ease. When it comes to Custom Homes in Adelaide you need time to make sure your making the right selection choices. Our experienced staff work in collaboration with you and we give you the freedom and time to make the important decisions when Building a New Home. We believe that building is an experience based on communication and honesty. We believe that understanding our client’s needs is paramount, and we approach each project with a cooperative mindset. Whether working with architects or directly with our client, Residence thrives on that connection. Our team of trades and suppliers know that detail and quality are expected with every Residence experience. Personal service and supervision allows you to talk with the builder direct and gives you peace of mind that the owner of the business is hands on in your project. With 20 years experience it's fair to say we know construction and building. Graphite Construction | Management provides personalized services for custom homes, extensions and renovations. We understand building or modifying your home can be an exciting but nervous time. Fear of the unknown mixed with anticipation can lead to stress. That is why we focus on being a client orientated services. What does this mean? Essentially we welcome you into the process, allowing you to be involved every step of the way so that you play apart in key decision making process and informed on time, cost and quality at every step. We are transparent with our approach so that you are comfortable building with Graphite. Building relationships is just one of the things we do well!! The 'team' approach to the planning and building process generally gets the best results. By discussing, planning and reviewing the project with clients, architects, consultants and builder prior to construction commencing means all team members are aligned and working towards the same goals. A home that works for the clients, which meets council's requirements and is with-in the desired budget and time constraints is what Golding Projects strive to achieve. New Homes & Group Dwellings An impressive display of custom homes/townhouses and group dwellings are featured in the photo galleries shown in the projects section. The challenging and unique homes are right up their alley! Extensions - period home extensions are a specialty. Firms that can carry out both design and construction in Prospect, South Australia take on the combined responsibilities of an architect, draftsman, construction company and additional contractors, providing one point of contact for homeowners. Having one entity responsible for the entire design and build, from estimation to subcontracting and even post-construction, streamlines and often speeds up the project significantly. Having a unified project team can also help you avoid unforeseen costs and delays in construction. In addition, the homeowner only has to interpret one contract with the design and construction firm, and not with various architectural design and contracting professionals. However, depending on the firm, you may still want to contact an interior designer or architect to help create the exact look you want. Here are some related professionals and vendors to complement the work of design & construction firms: Interior Designers & Decorators, Landscape Architects & Designers, Architects, Photographers. Project management demands time, skills and an eye for both detail and efficiency. While many homeowners choose to manage their own projects, they can often regret their decision once the build or home improvement project is complete. Homeowners should carefully consider the time they have available to allocate to locating, hiring and eventually paying every contractor who enters the site. From certifiers to roofers, and even your draftsman, a firm that can undertake design and construction in Prospect, South Australia benefits from having all of these home professionals under one roof. 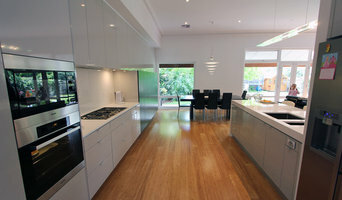 Find a Prospect, South Australia design-build firm on Houzz. Scroll through this page to find design-build firms in your area. You can browse recent projects, read reviews and message the firm directly. 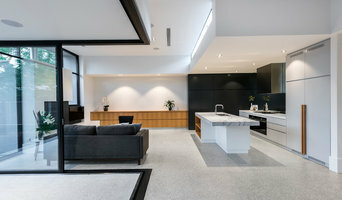 Another way to find a firm that can carry out design and construction in Prospect, South Australia is to browse Photos on Houzz. If there’s a photo you like, find out who designed and constructed it and strike up a conversation with the professional responsible.